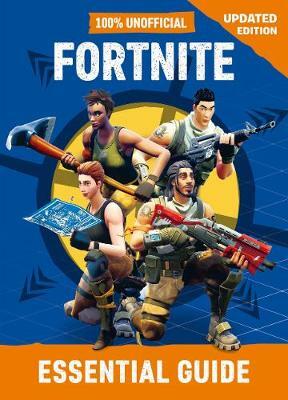 100% UNOFFICIAL A gamers' guide to the phenomenally successful Fortnite Battle Royale, this full-colour illustrated unofficial handbook guides novice players from the basics through to more advanced gameplay. Featuring tips on game editions and modes, character and weapon selecti... read full description below. 100% UNOFFICIAL A gamers' guide to the phenomenally successful Fortnite Battle Royale, this full-colour illustrated unofficial handbook guides novice players from the basics through to more advanced gameplay. Featuring tips on game editions and modes, character and weapon selection, building, looting, combat moves, tactical strategies and more, this easy-to-follow, step-by-step guide launches readers into Fortnite's thrilling battle for survival. A glossary explains key terms, items and stats, and there's also a guide to playing safely online, plus advice on setting parental controls.